After tooth decay, gum disease is the most common ailment to affect people, with approximately 80% of all adults believed to suffer from some form or other. Gum disease is much less common in children. In gum disease the gums become swollen, sore or infected. Contrary to popular belief, gum disease does not ultimately lead to tooth loss. With early diagnosis and treatment, it is possible to control gum disease and maintain healthy teeth for a lifetime. Gum disease is caused by a build-up of plaque on the teeth. Plaque is a sticky substance that contains bacteria. Some bacteria in plaque are harmless, but some are harmful for the health of your gums and can also cause tooth decay . If you don't remove plaque from your teeth by brushing them, it builds up and irritates your gums. This can lead to redness with bleeding, swelling and soreness. If you have gum disease, your gums may bleed when you brush your teeth and you may have bad breath. This early stage of gum disease is known as gingivitis. Some of the major factors affecting periodontitis include smoking, specific strains of bacteria in the plaque, personal stress levels and family history. Today it is known that there are associations between oral inflammation and infections and several systemic diseases, such as cardiovascular disease and diabetes. Mild cases of gum disease can usually be treated by maintaining a good level of oral hygiene. This includes brushing your teeth with a fluoride toothpaste at least twice a day and cleaning in between your teeth on a daily basis. Our hygienist will show you how to control plaque and calculus ( tartar) build-up to keep your gums disease free and to prevent decay. If you have tartar that needs removing she will be able to remove it by scaling and treat any gum problems. Most staining can be removed by air polishing the teeth. Many of our patients choose to see the hygienist on a regular basis. Treatment depends on the severity of the condition and ranges from teaching you an improved oral hygiene technique, to treatment under local anaesthetic for deep cleaning and elimination of infected gum tissue. Our hygienist can advise you on Nutrition, Fluoride, Smoking and Tooth Whitening. Information tailored to suit your dental needs and lifestyle will be discussed at your appointment to ensure that you are given the best advice to maintain healthy teeth and gums. 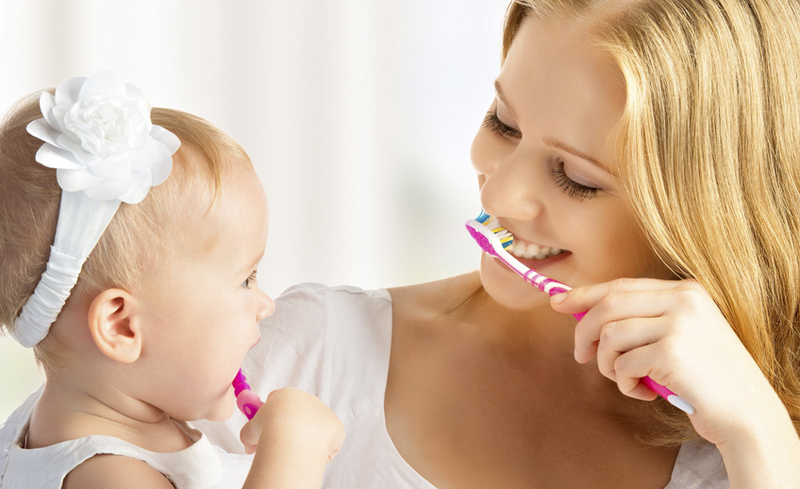 See how easy it is to introduce cleaning in-between your teeth into your daily oral hygiene routine. Depending on your circumstances, your teeth may need some extra care. Download our Tips & Advice PDF for more advice.